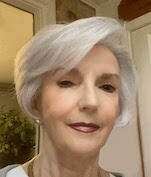 I am an instructor of visual arts, Gallery Director, & Symposium Coordinator at Kilgore College. I teach Drawing I, Drawing II, Design I, Design II, Sculpture I, Sculpture II, Art History I, Art History II, Art Appreciation (both lecture and online), & Academic Cooperative. I received a B.A. in Spanish and Art at SMU in Dallas, and an M.A. in interdisciplinary studies focusing primarily in Art at the University of Texas at Tyler. I have done graduate art studies at Long Island University in South Hampton, N.Y. I taught at LeTourneau University for 10 years, was Director of the Longview Museum of Fine Arts for 4 years, and have taught at Kilgore College for over 14 years. I have exhibited my work in various shows throughout the U.S. I grew up in several countries around the world, with my father being Agricultural Attache for the U.S. Embassy. I continue to travel and study abroad almost annually. I did an "Artist-in-Residence" program in Hilmsen, Germany in the summer of 2013, and exhibited in a cathredal there. Although I still sculpt and paint in oil & acrylic , I am really enjoying the medium of encaustic. I started studying the techniques as I taught Art History. I wanted to see how the Egypto-Roman mummy portraits were executed. I got hooked!